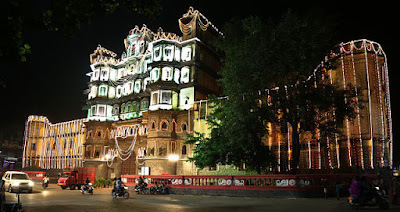 Rich in cultural and historical legacy, the city of Indore serves to be a major tourist destination in the state of Madhya Pradesh and the city perched on the banks of Saraswati River, Indore is dotted with numerous historical monuments and old buildings. It also houses several prominent places of worship. Lalbag Palace in Indore is a historical heritage left by Holkar dynasty. This impressive historical structure was once the residence of Holkar rulers. Built during the period from 1889 to 1921, Lalbag Palace reflects the grandeur and life style of Holkar kings. It is a beautiful blend of baroque and renaissance architectural styles. There are efforts on the part of Madhya Pradesh state government to make this historic structure the cultural center of the state. Adorned with frescoed ceilings and gilded moldings, Lalbag Palace is worth visiting place in Indore. Also known as Holkar Palace, Rajwada with its elegant architecture serves to be another key attraction of Indore. This impressive historic structure was built about 200 years ago. This is a seven storied building with its lower portion built of stones, while upper stories are made of wood. The structure of Rajwada is beautiful blend of Maratha, Mughal and French architectural styles. 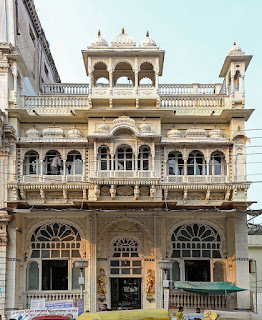 Kanch Mandir (Glass Temple) of Indore is a famous for its artistic and religious significance. 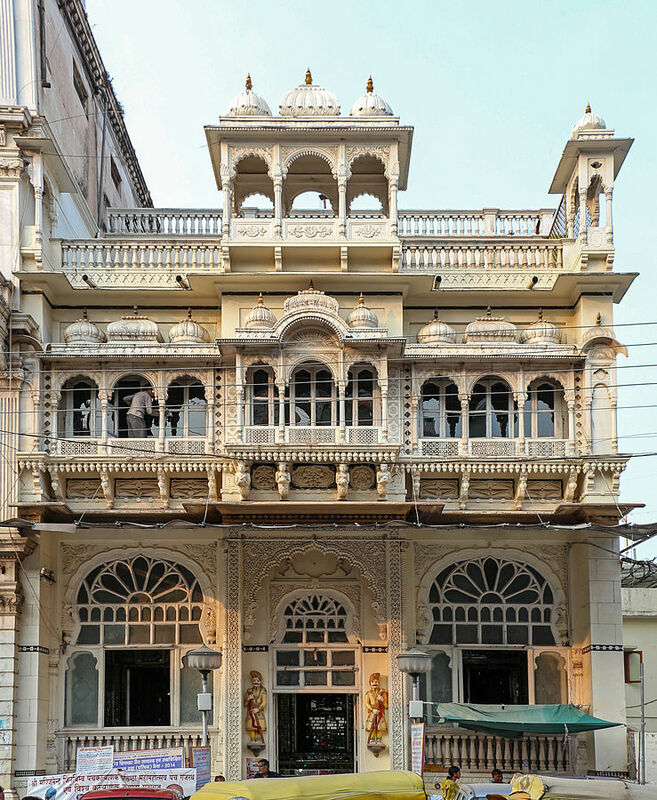 Built by Sir Hukumchand Seth during the 20th century, Kanch Mandir presents exquisite glass works. Ceilings, walls, pillars and floors are beautifully inlaid with colored glass. Paintings depicting incidences from the Jain scriptures can also be seen made in the colored glass. A beautiful chamber, also made of glass, reflecting innumerable images of three statues of Mahavir kept there is a sight to behold. 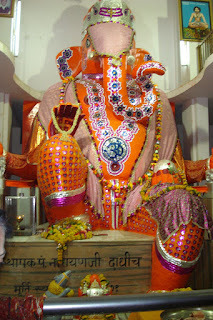 Bada Ganpati is an old temple dedicated to Lord Ganesha. Built in the year 1975, Bada Ganpati temple houses one of the largest idols of lord Ganesha. The idol measure 25 feet in height and is made of different ingredients like lime stone, bricks, soil collected from seven holy places (Moksh puris) in India. The temple is famous for its huge idol of Ganesha and is frequented by a number of devotees and tourists alike. There are many other places of attractions located in and around the city of Indore. The Krishnapura Chhatris, Geeta Bhavan, Indore Museum, Kamala Nehru Park, Gomatgiri, Meghdoot Upavan, Annapurna Mandir and St. Anne’s Church are some of them. Indore has it's own airport named 'Devi Ahilyabai Holkar Airport' is located 8 km west of Indore. It is linked to Delhi, Kolkata, Mumbai, Ahmedabad, Hyderabad, and some of other major cities of India. You can take a advance taxi/cab from airport to reach your desire destination in the city. Indore railway station (Station Code : INDB) has regular trains(http://indiarailinfo.com/departures/indore-junction-bg-indb/8) from almost all major cities of country. This railway station is operated by Western Railways. Indore is well connected with the nearby cities and state by road. There are many public bus services as well taxi services available to reach Indore.